Samir Nasri opens up on a variety of subjects in an exclusive chat with Sky Sports, including life away from football, his love for Arsenal and the future. 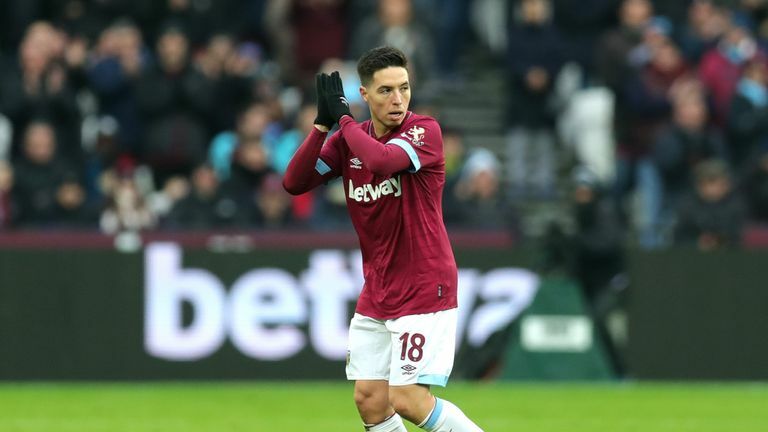 Nasri, who could make his return to Premier League action when his new club West Ham face Arsenal on Saturday, live on Sky Sports Premier League, sat down for a wide-ranging chat on a number of subjects. He opens up about the difficulties he faced during his period away from football while also chatting about many other subjects, including life at West Ham and his thoughts about facing the Gunners. How does it feel to be back on the big stage again? It's great to be back on this stage again. I missed the Premier League and I missed the competition in general and just football. What frame of mind are you in going into this challenge? This experience was the worst in my career. It changed me for the better. Now I see things differently. Before sometimes you don't know how blessed you are to do this job. Now I just take one day at a time, try to enjoy it as much as possible and try to be as professional as I can be to help my team-mates because I thought at one point I'd lost it. How do you reflect on the ban? I'm still disappointed about it because I didn't take any substance. It was just the dosage of the vitamin that was too much. I could do it in two days but I did it in just one day and so I have regrets about it because I was sick, yes. I had a doctor's prescription, but it still hasn't been accepted. I lost one year of my career that just went like that and at one point they were talking about a four-year suspension. A lot of things went through my mind. I thought my career was over so having this second chance makes me lucky. How did being out of football feel? It was the worst feeling in the world. If you are not strong and you don't have the support of your family and your friends, I really think you can go into depression because they take away what you love the most and it's just gone like that. You don't know if you'll be able to it again. For me, what made me continue and keep working out was the fact I have a son. I just want to leave something for him, a memory of seeing his dad play and stuff like that. That's why I kept working hard and fighting for this suspension to be shorter, to be back on the pitch. It's changed me. Before I used to be more into the controversy. If I heard something about me I would go head-to-head with it. I'd talk about it instead of being calm and an example for young people who are watching this sport. I have many regrets on what I think about my career because I didn't achieve what I could have done. The fact I have a second chance makes me lucky and I want to enjoy it until the last moment. As a result you feel more motivated than ever? I want to prove to myself more than anything else that I still have it and I can compete in the best league in the world. When asked if there's more to come, he said: Yes of course because I'm not like a lot of 31-year-olds because I've been out of the game for one year. I still have legs and I want to prove it. What was it about West Ham that made you feel it was the right next step? Manuel Pellegrini and the fact I had worked with him. You have to think when you are a free agent and you haven't played for a year, okay you are going to have offers but the most important thing is you need to play. You need to be back to the level you used to be and what's best for you is to be working with a manager that knows you, that knows your quality and knows as well your little problems. I worked with him in the past and I had a great experience with him. The fact he's the manager of West Ham made the decision really clear. Were you concerned there might not be a route back into the game? Of course, because I stayed silent about it as well. People might think I took a substance, that I really did something, or I took a drug so that's why I was out of the game. Of course, you have some doubt but I kept believing and my agent was there talking with clubs. Like I said, I am lucky and blessed so that's why I want to enjoy every day now. Is your experience a warning to other footballers? What happened to me was because I wasn't aware of the ins and outs of this. I thought you could do whatever you want with a vitamin that wasn't banned. This experience can serve other players and the new generation as well. Every time you are sick you still need to be in touch with your doctor so he can tell you yes or no. The problem was two years ago I didn't talk like that, I was just like okay. What impact did Manuel Pellegrini have on your move to West Ham? He had everything to do with it. I met him in October and we talked a little bit about the past, about what happened at Manchester City because the first season was idyllic. We won the league and we won the League Cup. After that it was a little bit more difficult for me because at that time I wasn't as mature as I am now. I didn't do everything the right way. I wasn't as professional as I am now, I was younger. We talked about everything and he saw that I was a changed man and he needed a player to add some creativity to his side. The fact that he's the manager made the decision really easy for me. 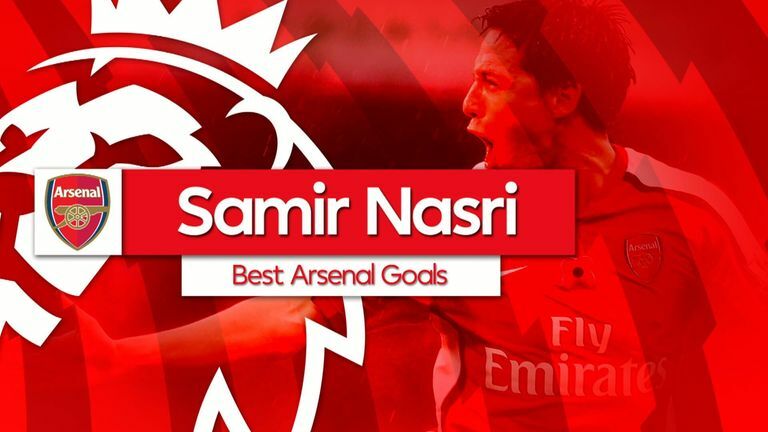 What will be a successful season for Samir Nasri? To have regular game time. Have half a season free of injury because when you come back from 13 months out of football your body might not recover the way it used to. I just want to play as much as possible and help the team as well because they brought me here to add some creativity so some goals and assists, but most importantly injury free. How do you look back on your time at Arsenal? I enjoyed it a lot because I had a manager there that really believed in me. It was like a second dad. When I look at it I'm happy about my three years there but disappointed at the same time because we had so much quality. It's just a shame that we didn't win any silverware with the players and the team we had, but I had good memories. Arsene Wenger made me have this mentality to score goals and to believe in my qualities. From the top of my head, there was this game against Fulham where I scored two really nice goals. We won 2-1 and at the end of this game we were top of the league. The goal against Porto, the goal against Tottenham in the derby. My final season was the season when I scored a lot of goals and it was good. Are you looking forward to playing against Arsenal? I'm looking forward to it because it will hopefully be my first game back in the Premier League. I was in the squad against Brighton but I stayed on the bench so it would be nice. As well, in the past maybe we had some words with the Arsenal fans but like I said, there is nothing but love for the club because I spent three wonderful years there. Before I used to say things about Arsenal because I was hurt by the treatment from the fans but there is nothing but love for Arsenal. How confident are you that you're the player you used to be? One-hundred per cent. If you don't believe in yourself, who's going to do it for you. I'm a guy who is confident and football is like riding a bike, forget about it. Once you know how to do it you will always do it. The only thing is to get my fitness back and that's it, but my mindset is I want to prove something to myself. Prove that I'm back and I only lost one year of my career. I don't want to have any regrets about it. I want to be able to say I was blessed, I was lucky to have a second chance and I did take it.